Our dell laptop repair service are provided by highly traind engineers. 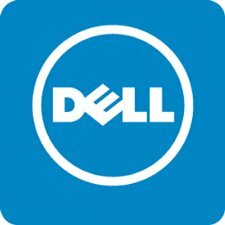 Dell Hardware Support: Leading on Site Laptop Repairs Service for Business And Home Users, Kindly Contact Kuldeep 8587861544, 9968739476, feel completely free to call us Our Engineers are Highly Qualifide And Experienced in Computer Repairs. We troubleshoot, diagnose and repair all Dell laptop computer components in store and on site. We service and replace Dell laptop screen, keyboard, power jack connector, lead, charger port, mouse pad, palmrest, mouse pad, casing, bezel, inverter board, backlight, Dell motherboard and covers. All services are done with genuine Dell parts. We can return your Dell machine back to factory settings as was shipped by Dell. Sometimes it is nice to just wipe the slate clean and start over from scratch; including a one year free anti virus. If your Dell laptop computer is feeling a little sluggish or your hard drive filling up fast - we can upgrade your Dell laptop to help it run faster and perform better including higher memory capacity, faster hard drive, better CPU or processor, etc. Computer Service Delhi NCR can breathe new life into your Dell computer with some well placed upgrades! If you just purchased your new Dell machine, we can help setup computer system, Connect and configure Dell accessories - printer, scanner, cameras and external drives. And we will install anti virus, anti-spyware, software updates, verify internet connectivity and configure your computer for optimal performance. We are serving both home users and small to medium size businesses in Delhi NCR, Greater noida and nationwide. Please contact us for information on our hourly rates, fixed rates and maintenance contracts. Dell laptop service, dell laptop motherboard service, dell laptop keypad service, dell laptop display service, dell laptop lcd screen, dell laptop lcd screen service, dell laptop led screen price, dell laptop screen price, dell keypad service center, dell laptop speaker problem, dell laptop wireless not working, dell laptop panel price, dell laptop panel service, dell Inspiron keypad, dell XPS keypad, dell studio laptop keypad, dell vostro keypad, dell inspiron display, dell Inspiron keypad, dell XPS display, dell studio laptop lcd screen, dell laptop USB not working, dell laptop camera not working, dell laptop display line, dell laptop vertical line in display, dell laptop service center in Noida, dell laptop service Noida, dell service center in Noida, dell service Noida, dell laptop service in ghaziabad, dell laptop service center in vaisali, dell laptop service greater noida , dell laptop service in ghaziabad, dell laptop service in greater noida, dell laptop service center in Noida.Laptop Service, offers quality repair services for all makes and models of laptops and notebooks such as Dell, HP, Sony, Compaq, Acer, Lenovo, JVC, Gateway, Fujitsu and Toshiba. Our laptop repair estimates include parts and labor. Every customer is very special for us and each one has his or her unique needs. Therefore, we do everything to ensure that their requirements are met within their budget.